We had a bit of a cold snap but the flowers seemed to make it through OK even with a couple frosty mornings. 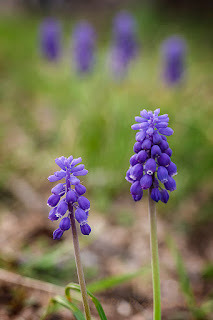 These are some Grape Hyacinths in the side yard that come up year after year. I did not plant them so they are at least 26 years old. They are fun to see in Spring.